Distinguished theologian and former pastor of Redeemer Presbyterian Church in New York Timothy Keller has released a new book focused on the Old Testament Book of Jonah. Titled The Prodigal Prophet: Jonah and the Mystery of God's Mercy and released earlier this month, the book examines important lessons about the Bible book and draws a parallel between Jonah and Jesus' parable about the Prodigal Son. "Jonah's journey also doesn't end when he is freed from the belly of the fish. There is an entire second half to his story—but it is left unresolved within the text of the Bible. Why does the book of Jonah end on what is essentially a cliffhanger?" noted the book's Amazon description. "In these pages, Timothy Keller provides an answer to the extraordinary conclusion of this biblical parable—and shares the powerful Christian message at the heart of Jonah's story." Here are eight thought-provoking quotes from The Prodigal Prophet, followed by their respective page number. They include a host of issues involving Jonah, how to treat people of different faiths, and justified criticism. 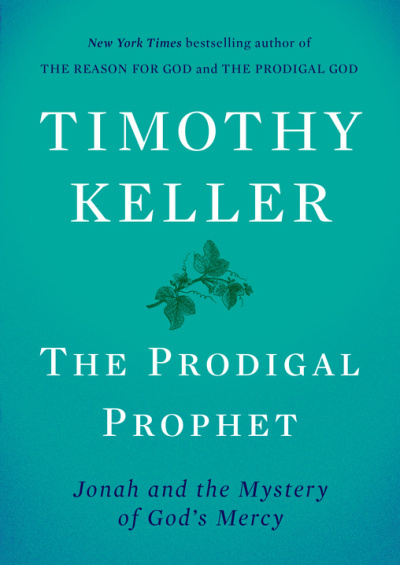 All quotes are reprinted from THE PRODIGAL PROPHET: Jonah and the Mystery of God's Mercy, by Timothy Keller. Published on October 2, 2018 by Viking, an imprint of the Penguin Publishing Group, a division of Penguin Random House LLC. Copyright © Timothy Keller, 2018.